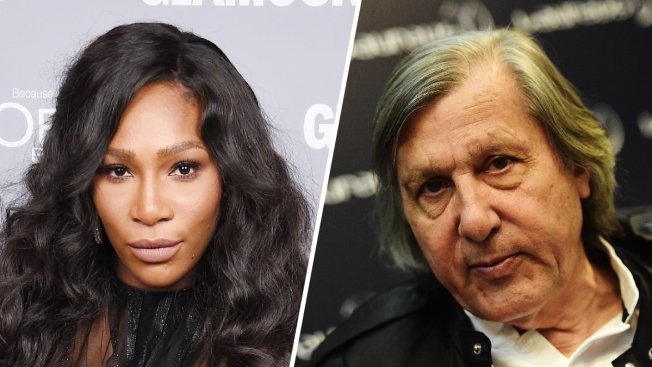 These 2015 file photos show Serena Williams and former Romanian tennis ace Ilie Nastase. Serena Williams has spoken out in response to suspended Fed Cup captain Ilie Nastase's comments speculating about the skin color of the baby the pregnant Williams is expecting. The 23-time major champion wrote on Instagram on Monday: "It disappoints me to know we live in a society where people like Ilie Nastase can make such racist comments towards myself and (my) unborn child." Nastase was overheard saying to a teammate in Romanian, "Let's see what color it has. Chocolate with milk?" the BBC reported. Williams is black. Her fiance, Reddit co-founder Alexis Ohanian, is white. Williams also referred to Nastase's "sexist comments against my peers" — a reference to his verbal abuse directed at British player Johanna Konta, British captain Anne Keothavong and the chair umpire during Fed Cup matches over the weekend. He was ejected from the Romania vs. Britain contest and provisionally suspended by the International Tennis Federation. Williams said: "I humbly thank the ITF for any consideration given to all the facts in this case. They will have my full support." She also wrote: "I have said it once and I'll say it again, this world has come so far but yet we have so much further to go. Yes, we have broken down so many barriers- however there are a plethora more to go. This or anything else will not stop me from pouring love, light and positivity into everything that I do. I will continue to take a lead and stand up for what's right." 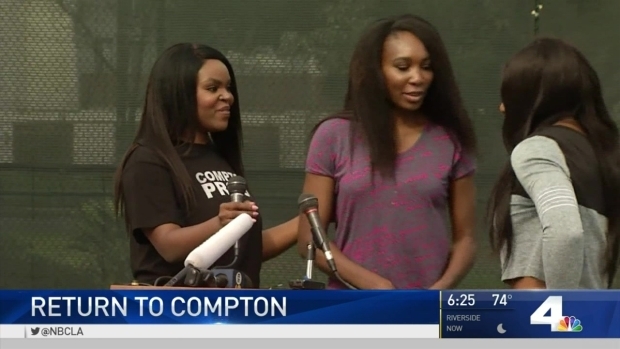 Nastase, for his part, was unrepentant, saying that he didn't believe his remarks at a news conference Friday about Williams' baby were racist. "I want to know what word I used is racist?" he said Monday in a telephone interview with The Associated Press from Budapest, Hungary. He added that he is a friend of Williams. As for what happened during the matches against Britain, Nastase acknowledged: "Yes, I lost my temper." But he called his punishment "crazy." Nastase earned the nickname "Nasty" for his on-court outbursts and gamesmanship in his playing heyday in the 1970s. But it also described his game, which earned him two Grand Slam singles titles and more than 100 ATP titles. He's a member of the International Tennis Hall of Fame. Reactions in Romania to Nastase's outburst have been mixed. George Cosac, the chairman of the Romanian Tennis Federation, defended Nastase by suggesting he was picked on by the British officials. Ion Tiriac, a businessman and Nastase's old doubles partner, also stood by him, criticizing Konta for walking off the court. However, many Romanians were critical of Nastase on social media, saying he embarrassed himself and Romania.